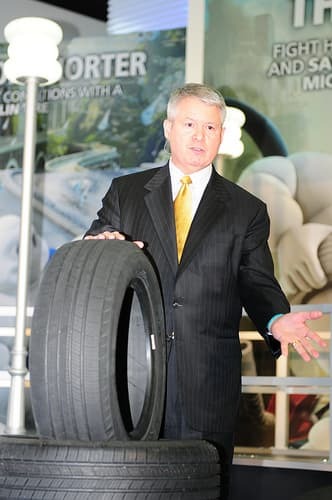 Through its website as well as in a report to the National Highway Traffic Safety Administration, Michelin North America announces a voluntary safety recall of over 1 million tires in the United States. While these tires are typically found on light trucks and SUVs, some large pickup trucks and full-sized heavy duty vans may be impacted by this recall as well. The tires were affixed as original equipment on new vehicles and were used as new replacement tires. Some of these new vehicles were “certain Ford vehicles” as stated in the report summary with the NHTSA. Michelin recommends immediate removal of these tires, and advises owners to visit an authorized Michelin retail location to have the tires replaced at no charge. A complete listing of the nearest retail locations can be found http://www.michelinman.com/dealer-locator/dealer-locator.page. According to the National Highway Traffic Safety Administration the recall is expected to begin on January 6, 2014. Michelin will take necessary steps in notifying owners. For more information, owners may contact Michelin Consumer Care Monday-Friday from 8 a.m. to 8 p.m. EST, or Saturday and Sunday from 8:30am to 4:30pm EST at 1-800-231-5893. For details of the report on file with the National Highway Traffic Safety Administration, consumers may contact the NHTSA at 1-888-327-4236 (TTY 1-800-424-9153), or go to www.safercar.gov.